Two 12' reusable silicone pastry bags are support different color icing while decorating cakes or cupcakes. 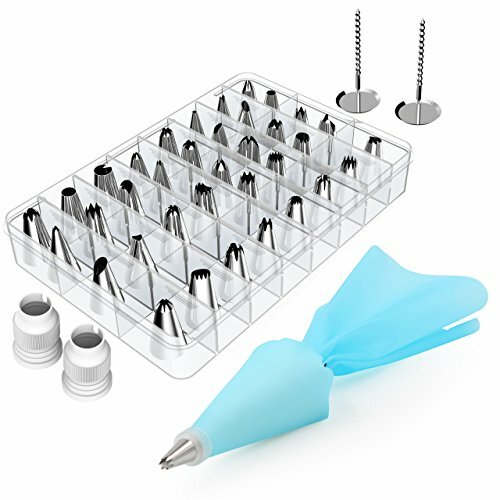 Premium baking supplies frosting tool: Strong, durable, stainless steel, corrosion resistant, reusable, non-stick, tasteless & non-toxic, FDA and LFGB approved, easy to clean and dishwasher safe. 2 Reusable plastic couplers are easy to switch quickly from one tip to another tip; 2 flower nails used as a decorative bottom bracket to decorate icing flower.